Creative areppas that are fresh, delicious and fairly priced. 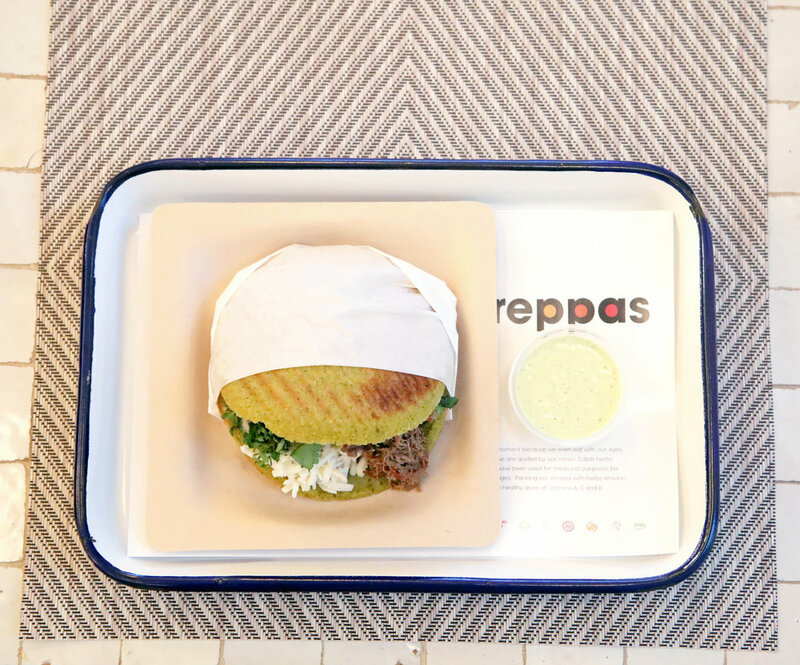 Areppas, a Venezuelan fast-casual eatery in NYC celebrated its 1st anniversary by showcasing new menu items, including healthy bowl and salad options. Areppas is known for serving fresh, wholesome dishes with the best quality artisan grains, proteins and seasonal ingredients. The Midtown East restaurant and its food carts around town offer signature arepas and the option to create your own. Owner Celestino Diaz, was born in Caracas, Venezuela in 1987 and came to America with his family in 2004 to escape the country’s hardships. Together with his wife, Brooke Carrie Hil, Diaz set out to open a restaurant that would pay homage to his background. The couple is also committed to giving back by feeding a hungry child in Latin America with every meal sold at Areppas through the UNA X UNA nonprofit. As a result of the initiative, over 40,000 kids have received meals thus far.